Later on I began thinking about those jeans and the patches. I couldn’t help but relate that to my own walk with God. So many times in my life, I have had bad things happen, made bad decisions, done things that weren’t quite right, and tears began to appear in my life – in my soul. But oh how my wonderful God patched those tears and made me strong again. Yes – just like my jeans – his patches are stronger than my worn out life, and He never fails to keep applying those healing scraps to my soul. 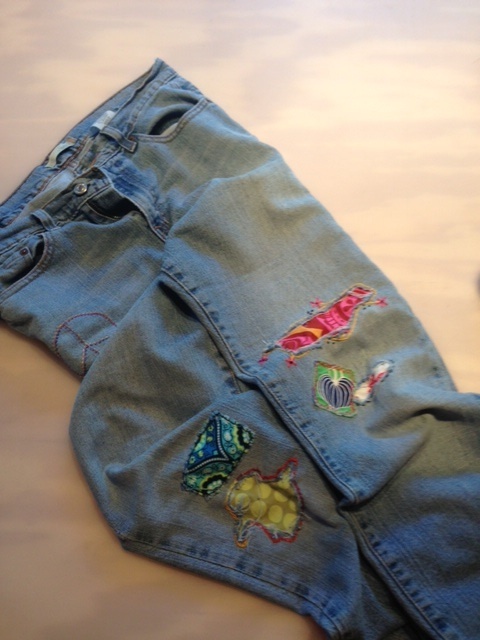 And just like my jeans – His miraculous patches are the really cool parts of my life. Watching God work through my messes, through my mistakes, through my tears is A-Mazing! Let’s face it, there’s nothing cooler than a God thing.